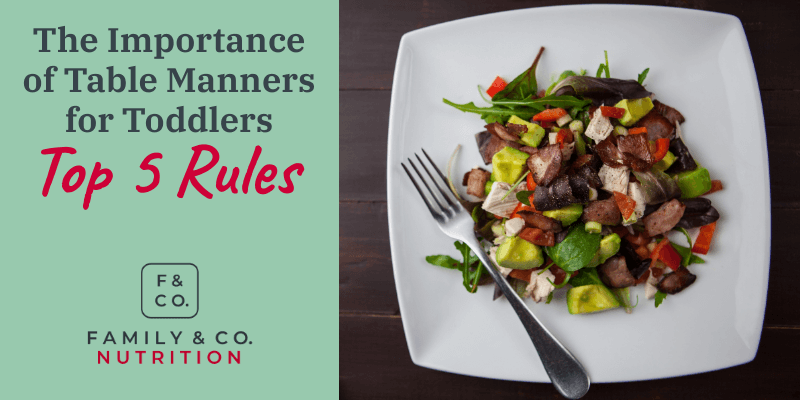 The importance of table manners: when to start? Sometimes family meals are a drag. Straight up, it’s true. 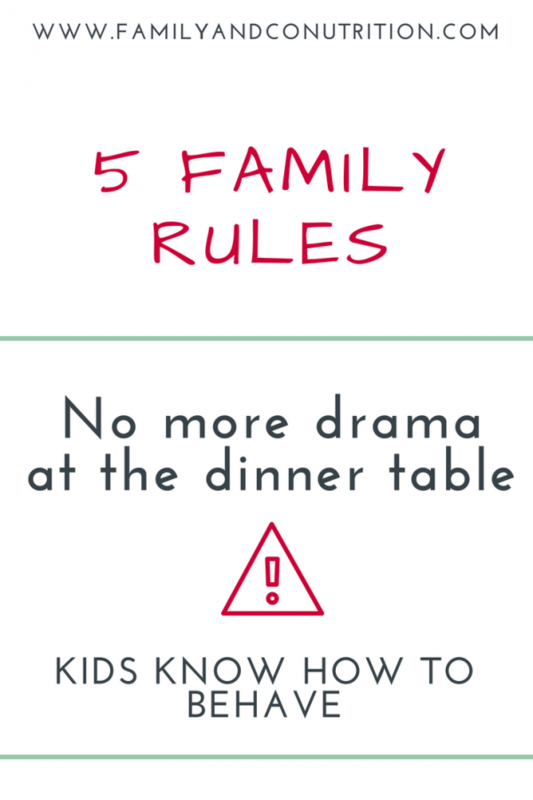 After a long and tiring day, the last thing you want is drama at the dinner table. For tired parents, a cranky toddler or picky eater can make you want to break down and hide in bed…I mean isn’t getting food on the table good enough? For folks with young families, getting everyone on the same page is a rough go. 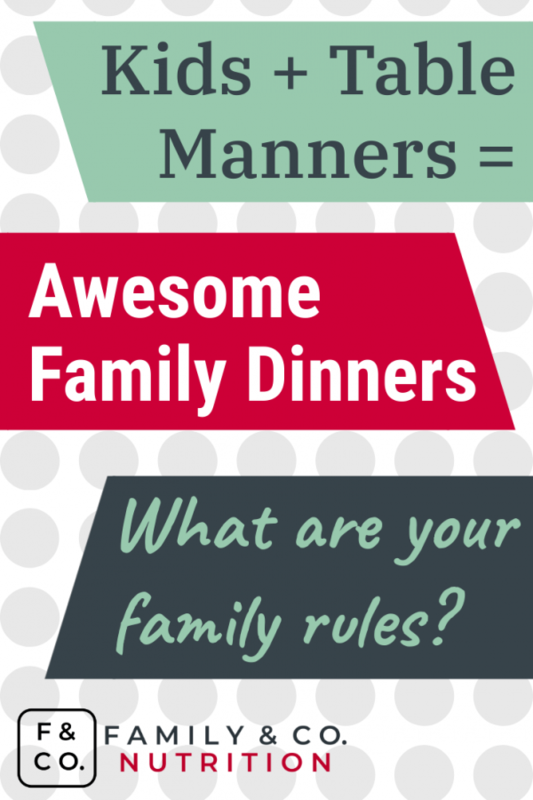 Establishing table manners, meal time etiquette, or a set of family rules can help! This is a foundational component of having a mealtime routine. That’s right, it’s time for you and your partner to put your heads together and figure out a family strategy. You may find it surprising that you and your partner share differing views on what “suitable” mealtime behavior is. As a result, kids don’t always know how to behave properly. Eating is more complex than simply shoveling food down your mouth. There can be a lot of tension at the dinner table. So, it’s time to act, and get on the same page! 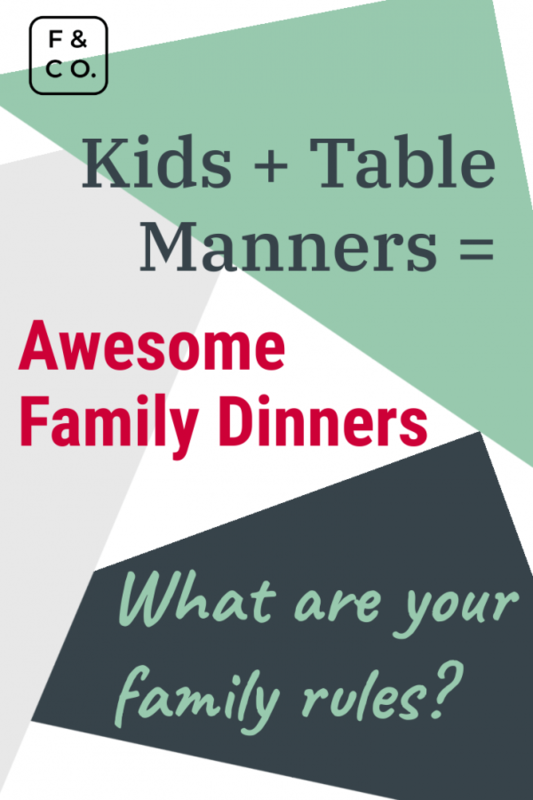 Establish the importance of table manners to your kids as early as you can. 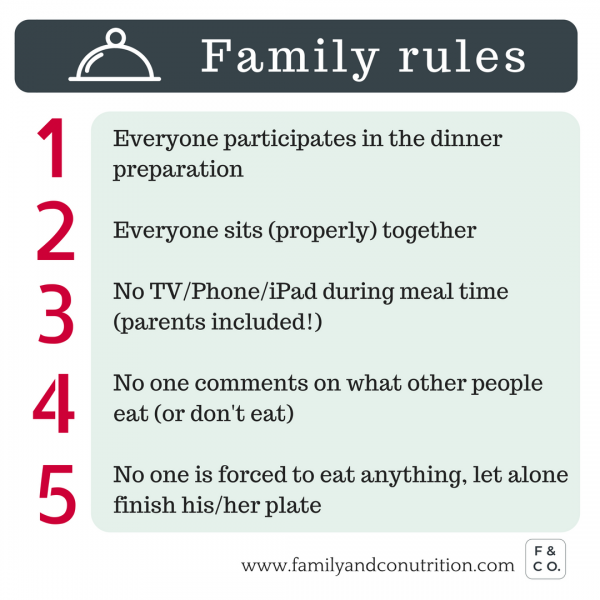 Parents need to discuss their vision of family dinners, balanced meals, and what they want to teach their kids surrounding food. It will make testing/breaking the rules all the more difficult, because both parents will reinforce the same message. Are you and your partner on the same page? 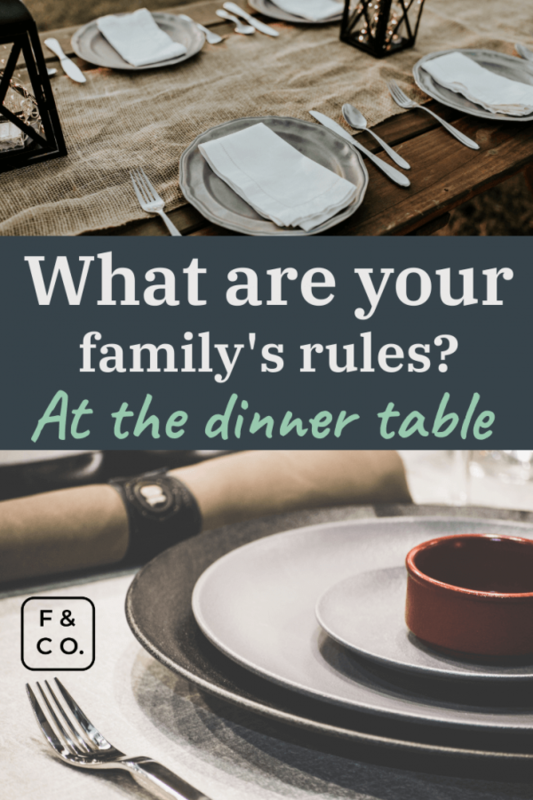 What are your family rules? Like with anything else, clear family rules, repetition, and being consistent will ensure that you will have peaceful family meal…most days! 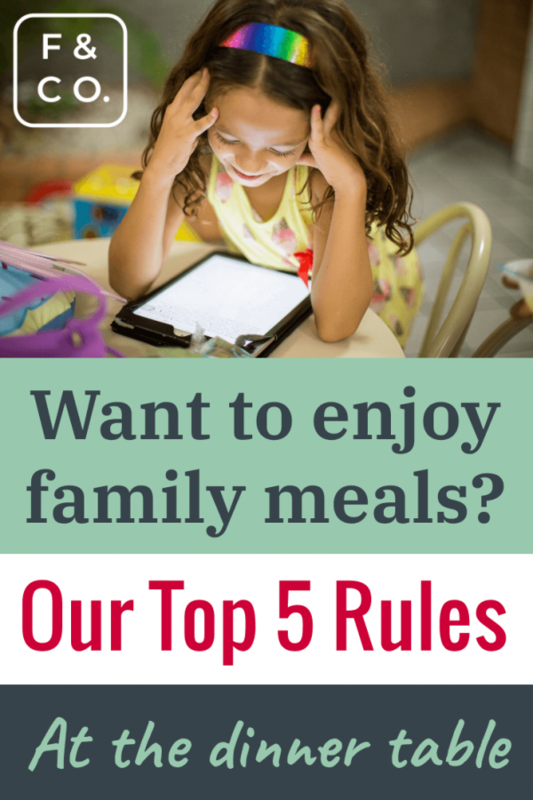 It’s up to the parents to establish clear family rules and table manners. What is most important for you? how about your partner? Pick your battles and decide what you’re ready to fight for. 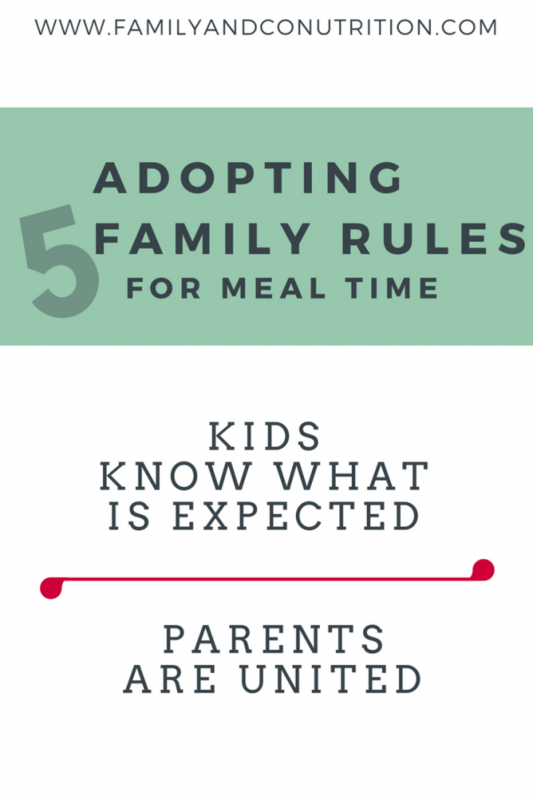 Plus, clear rules help parents to re-focus on the most important message, and shows kids the table manners they must adopt. Of course you may identify 23598684 things important about nutrition, food, behavior at the table, etc. but are you ready to fight for them? Are you setting yourself up for failure by diluting your efforts and authority? We say choose 5 rules. 5 rules you and your partner agree are the most important one for everyone in your household to adopt. 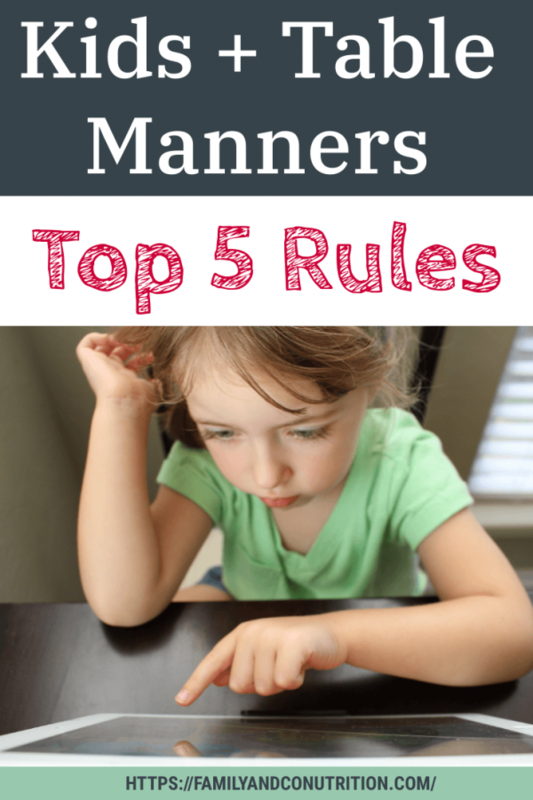 We suggest 5 rules that highlight the importance of table manners for your family. You and your partner need to know what to focus on. Everything won’t be perfect at EVERY meal, but your list of rules will hold everyone accountable. As your kids grow up, you can adapt rules to be age-appropriate, and drop ones that aren’t relevant anymore. 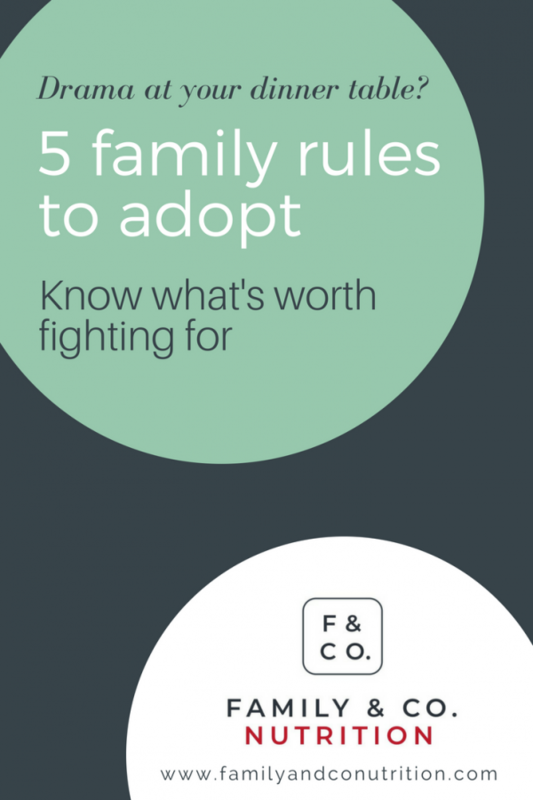 5 family rules worth fighting for. Parents make a common front, kids know how to act and what you expect from them. 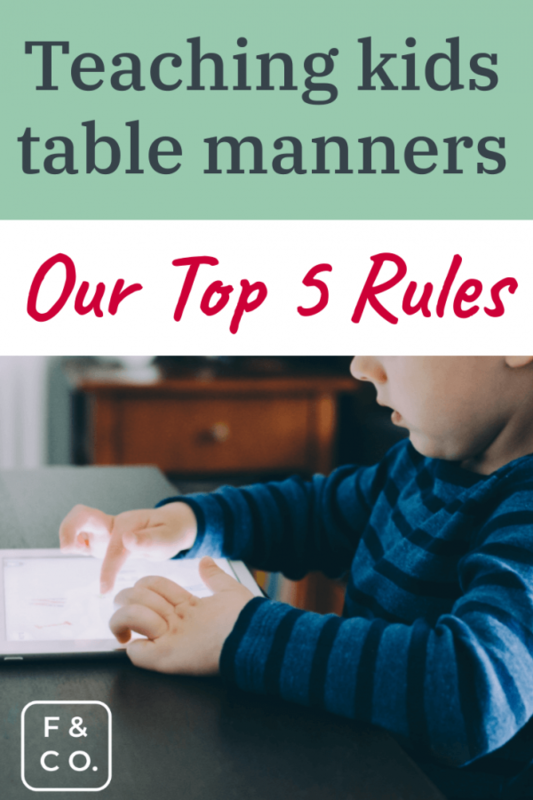 So in case you are still wondering “When should I teach my toddler table manners?” You should start now! 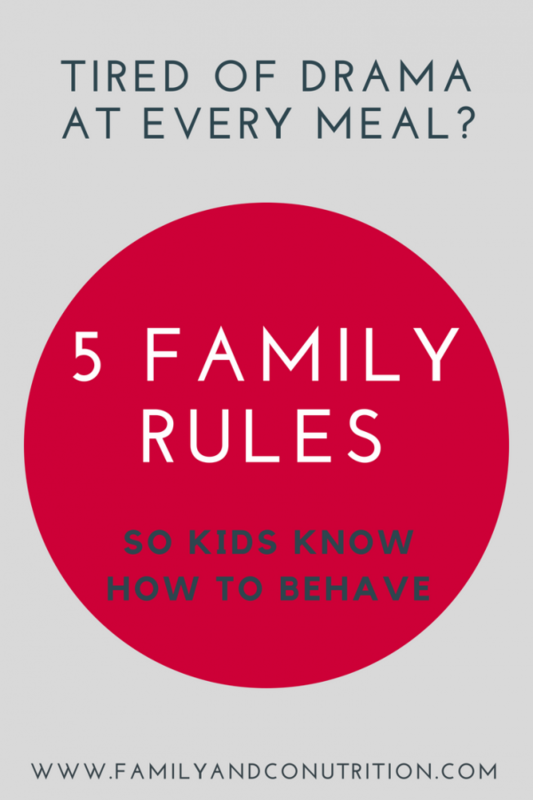 And if you had to only pick one family rule: clearly divide responsibilities between parents and children. We won’t tell you which rule to adopt (unless you want us to assess your family situation and make recommendations! ), but if you had to pick one key idea, this is it! 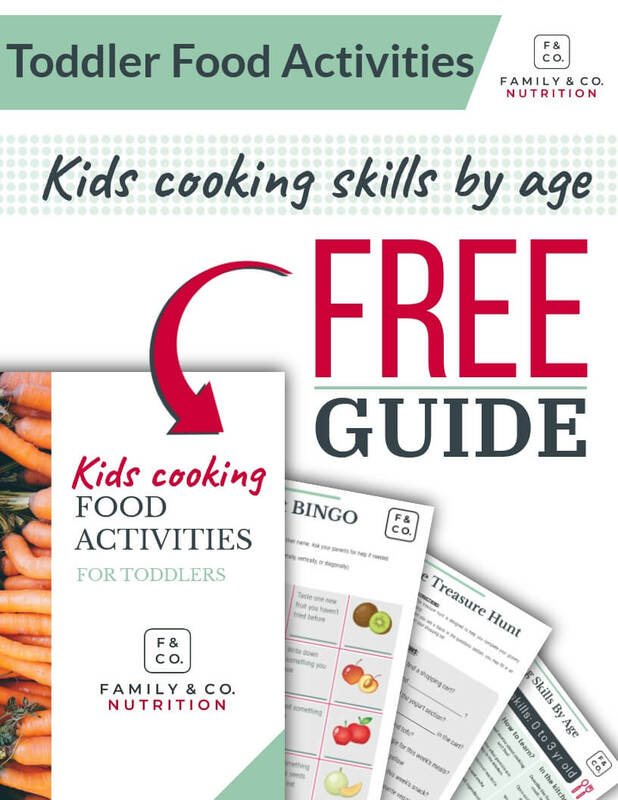 This means no cooking extra meals for picky eaters, and no forcing kids to eat anything. Your child’s interest and willingness to taste new food (or not) will come from exposure to both new and familiar food items. In this system, kids develop their ability to eat and discover new flavors, while parents learn to let-go and avoid micro-managing and/or comment-making. For the other rules, it’s up to the adults to establish them for their family. No one judging you for what you feel is important or not. Simply remember that kids do better when they have clear guidelines and repeated schedules. 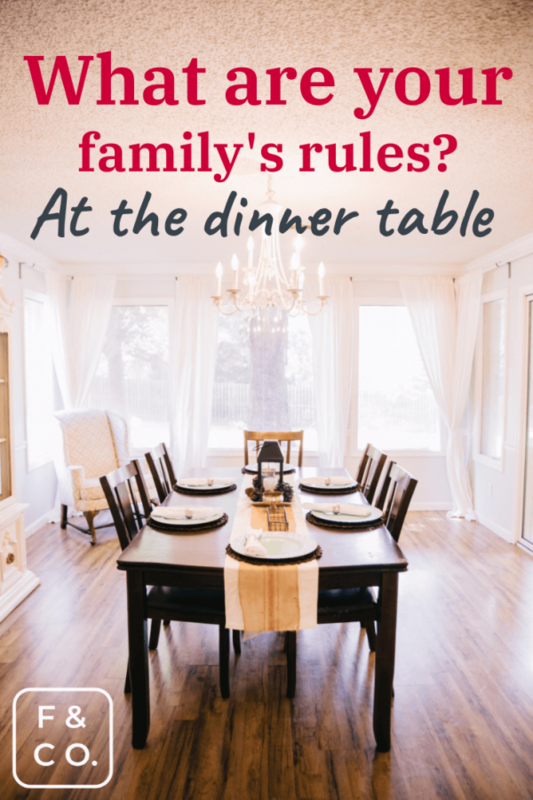 What are you rules at home? How do you ensure they are respected? Thanks for reading – get in touch if you need help!